When speaking of the motor scooter engines, we will think of the 2 or 4 stroke engine. And what is the 2 stroke engine? It has 4 steps when it run, a: intake/scavenging, b: exhaust, c: compression and d: expansion (power). How about the 4 stroke engine? It has 4 steps, too, a: intake, b: compression, c: power and d: exhaust. 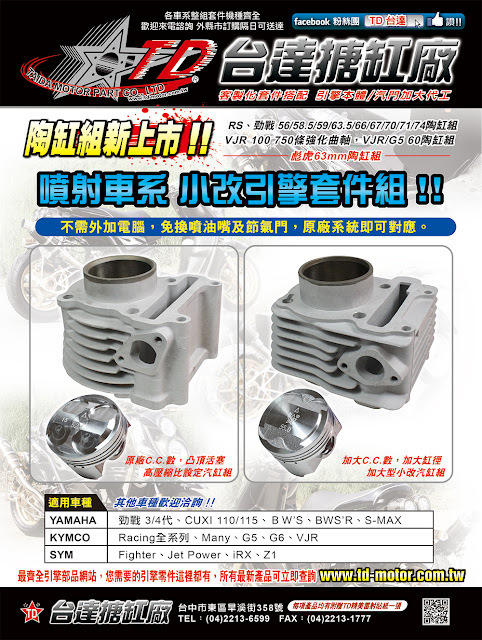 Although, those engines maybe are small size, if bore up the cylinder will get more powerful efficiency.